This gallery is situated in downtown Midland. Gallery is a not-for-profit organization and hold art classes and various theme art shows throughout the year. They also have an "art at home" shows which allows you to rent a painting for 365 days for a cost of $365. You also get a tax receipt for $300 and a 1 year membership. They also have a gift shop with unique jewelry, clothing, pottery, art cards and other gift items. The gallery holds an annual juried art show. This gallery is situated in downtown Waterloo on Regina Street. This impressive gallery boasts 25' high ceilings with large contemporary paintings and glass art. The gallery is beautifully designed by the owner who is also gifted in home decor and design. You won't find small crafts and souveniers at this gallery. They feature large works by Canadian artists and abroad. Gallery is known for large dramatic paintings. They will be having their 30th year annivery celebration in the autumn of 2018. 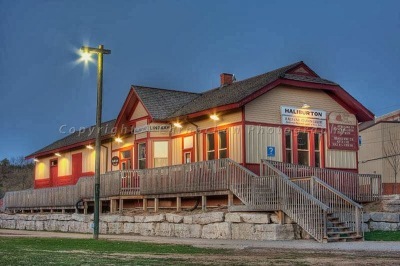 This gallery is situated in Haliburton by the waterfront. The gallery is located at the end of a historic railway. The boutique has many gifts including paintings, jewelery, art cards,hand made soaps and candles, pottery and other items. They hold many events in the larger gallery at the back of the building and hold an annual art show for the boutique artists each winter. In the summer they hold a weekend long outdoor art show that's attended by thousands of visitors each year. The gallery is also a non-for-profit organization. This gallery is situated on Niagara Street in St Catherines. This gallery is bright and spacious with plenty of parking. The gallery features paintings of all sizes from various artists. They also carry art cards. Future plans are in place for an art rental program of my paintings. There is also plans for a "painting party" for the autumn of 2018. The new programs will be posted on their website. The gallery also holds painting classes and daytime art camps in the summer months for children. They also have an on-line gallery and ship worldwide. Many talented artists at this gallery. A must see. This gallery is situated in on Lesley Street in Richmond Hill. 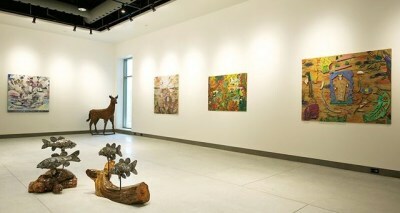 The gallery has a variety of artist including Canadian and international artists. They also do custom framing. They have an on-line gallery and ship worldwide. The gallery has a combination of original paintings and prints. There are several different rooms in the gallery featuring a collection of artists. This gallery is situated in downtown Etobicoke on Dunlop Street. The gallery features a variety of theme art shows throughout the year. They also have one of the largest art rental programs in the Greater Toronto Area. The have customized rental programs to meet their client's needs from individuals, corporations to home staging. They also hold an art show of smaller works around the Christmas season. The Piggery Gallery, an inspiring artisan gallery located along a winding country road in beautiful Stone Mills Township, Newburgh. This adorable, unique gallery features orginal work from a variety of artists including paintings, antique furniture, rag rugs, quilts, jewelery, pottery, art cards and other items. It's worth the drive in the country to find this treasure.